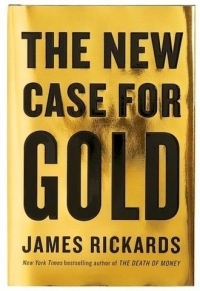 Bestselling author Jim Rickards sits down with Hedgeye CEO Keith McCullough to discuss his new book “The New Case for Gold” and why a cocktail of factors makes it more critical than ever for investors to protect their portfolios with gold. "Gold’s role as money is difficult for investors to grasp. One criticism of gold is that it has no yield. Gold has no yield because money has no yield. In order to get yield you have to take risk…"
"Hold you cash (or money) in a bank involves risk, as you become an “unsecured” creditor of a bank - you are lending your money to a bank to earn a yield."